Lately, social media have brought a revolution in the field of online or internet marketing. As Social Media is an inventive and resourceful platform to socialize and communicate with potential customers, it’s an excellent idea to earn money with it. The objective of this article is to give you some effective tips for earning money online using social media marketing. In the year 2014, 92% marketers gave their opinion that Social Media Marketing (SMM) was essential for their business and 80% pointed out that their social media efforts helped to raise visitors to their websites (Source: Hubspot). In this new era, SMM has become really a vital part of doing business. Basically, the social media marketing definition is, it is the art of using social media platforms in such a way so that products/services can be promoted both online and offline. Social media marketing takes the benefits of social networking in order to boost up the brand exposure of a company and broaden its client or consumer reach. The aim is usually to create engaging and appealing content (text, image or video) that users will share it through the social networks. Why is Social Media Marketing Important for Any Business? 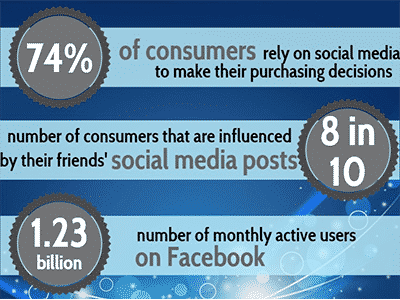 At this point we will see, why social media marketing is important for business. There is nothing like social media for cultivating a community. When the followers become part of your community, you can access them instantly. You can do market research as well by knowing their likes and dislikes about your offerings. As the number of your followers increase with time, your influence grows. Hence, one of the social media marketing benefits is that having a substantial social media audience can attract new visitors or customers. Social media can be a leading traffic generator. You give the audience a reason to click through and visit your site by sharing blog posts, images, videos and other content from your website. When they visit your site, you can convert that extra traffic into business opportunities. On a social media platform, every blog post, comment, image or video you share is a chance for someone to interact. Every interaction can lead to a site visit and it increases the likelihood of an eventual conversion. 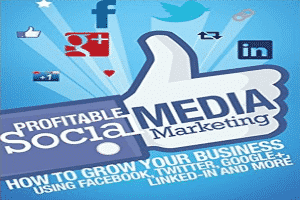 Social media marketing cost is comparatively less than the traditional marketing methods. Even paying advertising through the social platforms like Facebook and Twitter is quite cheaper. Initiate your marketing with a small budget and once you get a better result, you can increase the budget and thus increase your conversion. Recently, Google and other search engines are considering social media presence as a significant SEO ranking factor. It is because of the fact that strong brands almost always use social media. So, staying active on social media can turn into a “brand signal” to search engines that your brand is credible, legitimate, and trustworthy. Do you desire to know about quick guidelines how to use social media for SEO? Concerned in traditions to use your social accounts to improve your SEO? In this video, you’ll find out how to use social media to get better your search ranking. Social media platforms are the sites where the target audiences of your business pass their time. Various platforms are available for social networking. For doing social media marketing for business, it is essential to understand what other business promoters are doing on different social media sites to maximize their business results. It is needed for any business to discover how to best use social media to connect with customers, drive visitors, generate awareness and enhance sales. Social Media Examiner, a large online social media magazine, by assessing how marketers use the top social media platforms provides a great and important service to the marketing community. 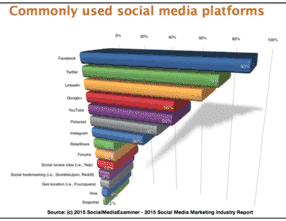 In the seventh annual survey for their 2015 Social Media Marketing Industry Report, 3,700 people took part. Facebook is a global and a mass market platform of social media. It was on the top of other social media entities across the world in 2014 and still in 2015. Since there are hundreds of millions of users are doing social media marketing on Facebook, it is literally an excellent platform for enhancing business communication with the customers and consumers. Facebook’s 2014 annual earnings report highlights important facts that every business must understand and incorporate into their 2015 marketing plans. 2014 Facebook earning report shows that the number of people that use Facebook is 1.39 billion per month and 890 million people use Facebook daily. 745 million people use Facebook via mobile per month. The figure below illustrates Facebook’s Daily Active Users (DAU) breakout by region. Although a mix of social media platforms needed to be used by the marketers and business holders, Facebook is preferred as the ‘must-have’ site. In Social Media Examiner’s 2014 Social Media Marketing Industry Report, Facebook has been spotted as a most an essential social platform by 54% of marketers. In addition, 90% of marketers use Facebook paid ads. The second best social media platform for making money online is Twitter. To get more social signals, tweets, and sharing of URLs are really effective. On Twitter, it is necessary to build up followers and engagement with the followers is a significant issue. The marketers generally utilize Twitter tools and searches to find out people who might be interested in their products or services and get those people to follow them. On this platform, by using different kinds of social media marketing techniques like creating special lists and hashtags, it is possible to extend the scope for reaching more audiences. The marketers can also monitor what other people are saying about their company, employee’s and brand. They can discover the problems and questions of the customers through Twitter and solve those problems accordingly. It is notable that Twitter works best when self-promotion doesn’t get priority to the people, but they share other’s posts as well. For the past few years, LinkedIn has been the most consistent social media site for small businesses. To enhance their business, the marketers use LinkedIn to make business relationships. Marketers join this platform with a social media CV that includes reviews, related content, and associations. The best feature of LinkedIn is that any recommendations about a business from the previous customers or colleagues can be posted. Testimonials, references, and endorsements build up trust among the customers of a business. Another great thing about LinkedIn is that here ‘groups’ can be created where professionals can join together and share their experiences, ideas, and thoughts. As LinkedIn is more about businesses connecting with other businesses, it’s possible to find out like-minded people and exchange more marketing and business ideas. Google+ isn’t much different from Facebook and Twitter as it is also one of the effective social media marketing tools for communicating. On this social media platform, it is possible to separate people into different ‘circles’. This makes easier to target different people of different demographics with your messages. Google+ can be used to test the potential success of a social media marketing campaign. In recent times, marketers have kept Google+ in their social media mix as it has a close association with the search engine. YouTube is one of the better-known platforms used to promote businesses. It is the home of videos. Though other video options are continuing to expand, YouTube is a must social platform for the marketers. By augmenting the content with a video version, it is possible for the marketers to enhance their presentations and show the customers how to use the products or services. PIinterest has an amazing retention for a social media platform in 2014 and its activity continues to increase. Pinterest pins have earned great popularity and playing a vital role in getting social signals. The strength of Pinterest is that it leverages a visually-appealing way to share information with the followers. Instagram is a mobile-based and easy-to- use social media platform. It is a photography app that is currently sweeping the globe. For doing social media marketing on Instagram, the business owners or marketers incorporate their message into their photographs. 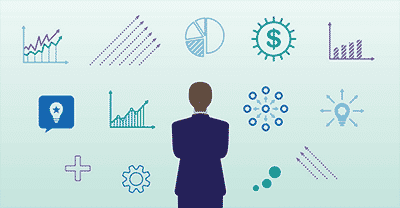 This platform has the ability to show any business visually. On SlideShare, marketers can use and share a variety of content types including presentations, video, and PDFs, ebooks etc. SlideShare is an excellent way to get in front of a large number of visitors or followers. But for many marketers, it is still not the center stage. Besides the above discussed social media marketing sites, other social platforms include forums, social review sites, social bookmarking sites and blogs. When you start working in social media as a beginner, you have to make a social media marketing plan. Rather than trying to work on all platforms together, you should select one or two social media platforms and concentrate on those. Lots of beginners make this mistake and at last, they quit. To select the social media platform that is most suitable to the niche of your website or blog, you have to find out the proficient leaders in your niche and should analyze where they have got success. For example, check out the number of Facebook fans, Google+ followers, Twitter followers, etc. of the leaders of your niche. If you find out that they have 20,000 Facebook fans, but only 2000 Twitter followers then it indicates that Facebook is more suitable than Twitter for your niche and also for promoting your product or service. You can then concentrate, work and spend more time on Facebook rather than Twitter or other platforms for your niche. You obviously don’t want to promote your product to the wrong set of clients. So, doing an extensive research and picking up the right social platform on your own will be great for your future success. Use a photo of yourself or the company logo. Include a link to your website. For example, On Facebook, you can include a link in the ‘About section’, on Google+ in the ‘Contributor to’ section etc. The next step is to link your website or blog to each of your social media pages. For each platform, there is a certain procedure to follow and it is very important that it is done correctly. For example, to connect your website with your Facebook page, you should add Facebook ‘Like Box’ or ‘Fan Box’ to your website. Besides connecting your website with the respective business pages on social media, you should add social media buttons to your website or blog so that visitors can easily share your content. Keep in mind that large buttons get more click. One of the great social media marketing ideas is to find people to follow who are influential in your niche. This is vital because you have to steadily build up your group of followers. It is obvious that at first they are not going to follow you as you have a new account and no followers. Following leading people in your niche is similar to show them that you are also part of that niche. Popular people are likely to get followed by others as well. So, if you follow the followers of a popular person, there are chances that some of them will follow you back too. These people will certainly share useful and important information about the niche. Therefore, you have an opportunity to learn something new and re-share that with your followers. Another vital social media marketing strategy is that when you start following people on the social media platforms, you should remember that it is always better to maintain a balance between the number of the following (the people followed by you) and the followers (the people follow you back). In social media, the influential people in a niche have strong or balanced profiles. Software applications of social media use the ratio (followers/following) and make suggestions on ‘who to follow’. So if the ratio is high, your chances of getting new followers are minimized. It is also about building up a trusted profile. For example, a profile with 650 followers and 610 following is more trusted than the other with 800 followers and 1500 following. 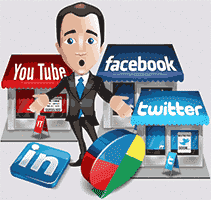 At present, a balanced social media profile is also better for SEO ranking. Sharing interesting content to the visitors or followers is the basis for starting a successful social media marketing campaign. Sharing of useful content can get you more re-shares. 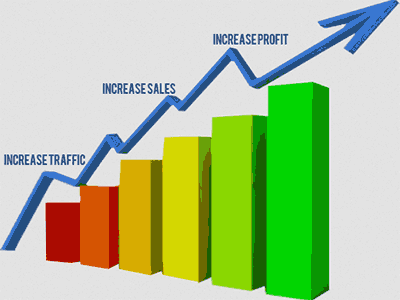 Thus, you can get more visitors to your site, and in some cases more customers as well. Articles/Stories/Pages related to your niche, but not only from your own website. Funny stuff – you can share a funny image or video, a joke to make your followers smile. Use hashtags (#) in the networks that support it (Google+, Twitter). Hashtags can make your content more searchable. People who are the beginners in social media marketing have the same question in their mind that “how many times should I post per day?” Actually, it depends on the platform. Facebook business page – Posting should be done no more than 1-2 times per day and no more than 7 times per week. Twitter – The more you tweet, the more publicity you get. Google+ Business page and Google+ profile page – As many times as you want, but don’t overdo it. Pinterest – A few times posting per day is enough. It happens that most people forget to follow back those who have already followed them. They only focus on how to get new followers. It will be wise to grow the habit of viewing the people who are already following you and then decide who to follow back. This should be done regularly to get real social media marketing effectiveness. Otherwise, chances are that some will un-follow you and for this reason, you may sometimes find that the number of your followers has decreased. To control spam, social media networks have certain rules. For example, there is a limit on Google+ on the number of people you can add or delete from your circles, there is a limit on Twitter on the number of people you can follow per day, etc. So, while doing social media marketing, you have to follow these social media marketing rules. 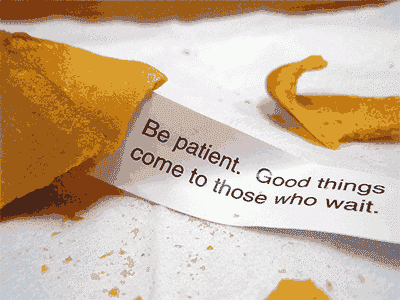 It means that it will take some time to make thousands of followers. You need to be patient because if you try to break these rules, your account may get suspended. Therefore, take your time and try to create a great social media profile that stands over time. As a conclusion, hope that the above stated effective tips for earning money online using social media marketing will help you to achieve your desired success in social media platforms. It is always best to work on your social network connections to grow your customer or client base. Proper and smart uses of social media platforms will ensure marketing, promotion and also selling of your products or services to real people. Thus, it will be easier for you to grow your business and eventually making money.